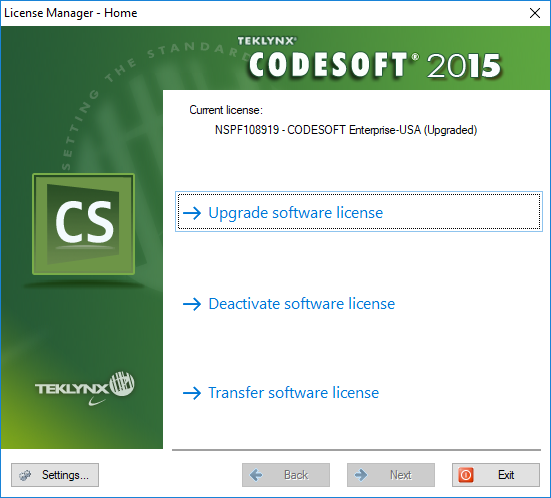 This article explains the TEKLYNX error message “Hardware Fingerprint Has Been Modified and License Cannot Be Used” and details how to fix the underlying problem that caused it to appear. This message indicates that the license for BACKTRACK, LABELVIEW, or CODESOFT has been invalidated resulting in the software being unable to function. A Hardware finger print error occurs when there is a break in licensing. It can be caused by multiple reasons. If you can go into the License Manager (should be installed on your PC) and have an Internet connection, deactivate the license, and then reactivate. If you cannot deactivate the license, and you have a maintenance agreement with TEKLYNX, you can request an additional activation be added to the license. TEKLYNX requires an active maintenance agreement (e.g. subscription or SMA) to add activations.